If you color your hair, you’ve likely explored a range of hair dye options. Traditional hair dye is widely used and can even be bought at neighborhood drug stores and convenience stores. You can also get a hair dye treatment from a hair stylist at your local salon. Traditional hair dye has a handful of undeniable benefits. Firstly, the number of color and tone options is practically endless. From natural blonde and brunette tones to fun colors such as pink and green, you can find hair dye to achieve any color you want. Plus, as mentioned previously, boxed hair dye is available at all types of easily accessible stores and even online. You won’t have trouble finding the right brand and color for you. Traditional hair dye is generally very effective after the first application. While some other, natural hair dye options may require multiple rounds of treatment, a boxed hair dye or professional dye job will achieve the look you want on the very first go. Once the color has been applied, hair dye will also last for longer than many natural alternatives. The two main types of hair dye are permanent and semi-permanent. Semi-permanent dye doesn’t contain as many chemicals as permanent dye and will fade in a few weeks. Permanent color lasts until the hair grows out. Hair coloring treatments that are made to last for long periods of time are typically made with chemicals including hydrogen peroxide and ammonia. While these chemicals are effective at permanently altering hair color, they’re also harsh and will affect hair health and texture. To avoid the damaging chemicals and alcohol included in traditional hair dye, you may want to opt for a known hair dye alternative. In this article, you’ll find a handful of other types of hair dye that you can use. While these options may not last as long or be as potent as traditional hair dye, they’re all more gentle on the hair and scalp. Lemon juice is a simple, cheap, natural, and well-known way to lighten hair without hair dye. It’s powerful and extremely effective, especially if you’re aiming for blonde tones. Plus, while lemon juice can be harsh and drying, it’s certainly a safer hair-lightening method than bleach. Instead of simply putting pure lemon juice in your hair, you can mix it with a basic hair conditioner to keep your hair and scalp from drying out. You won’t need to apply too much of this solution, given that the lemon juice is so powerful. You’ll need to get out in the sun after applying lemon juice to your hair in order for this solution to work effectively. Generally, you should have sun exposure for an hour or two for the lemon juice to effectively lighten your hair. So, make sure to apply (and reapply) a great sunscreen so that your skin doesn’t burn in the direct sunlight. After you’ve been in the sun with the lemon mixture in your hair for a few hours, be sure to rinse it out thoroughly. Lemon juice presents many advantages as a hair lightener when compared to traditional hair dye, which are listed below. Lemon juice is entirely natural. You’ll know exactly what you’re treating your hair with and won’t have to worry about artificial or synthetic ingredients. Lemons are very inexpensive and can be found at any local market or grocery store. You’ll spend far less on a lemon than you would on boxed hair dye or a professional hair dye treatment. Lemon juice is a safer and less drastic method for lightening your hair than other options, such as bleach, which can easily damage hair, skin, and clothing. Lemon juice has a few downsides as an alternative to hair dye. These drawbacks are listed below. Lemon juice increases sun sensitivity. Especially for people with dry or sensitive skin, lemon juice may be too harsh and cause redness, excessive dryness, or sunburn. If you’re aiming to make your hair several shades lighter, you may need to go through the lemon juice lightening process multiple times to achieve the effect you want. Lightening your hair with lemon juice takes time–you’ll need to find a free morning or afternoon to do so. Lemon juice can dry out hair easily, so you need to be sure to use a hydrating conditioner after rinsing all of the lemon from your hair. Henna is an all-natural dye option that can be used for your hair, too. Henna is a powder made from the henna tree, which is a tropical plant. It’s an herb and is, therefore, doesn’t contain synthetic or artificial ingredients like traditional hair dye. Henna has an orange to red color that is often quite beautiful as hair dye. People also use henna to create tattoos on their skin. These tattoos aren’t permanent but will last for a few weeks. 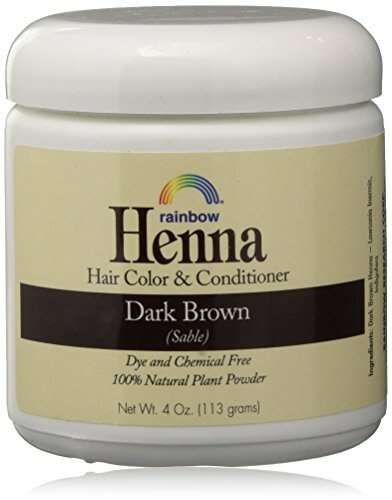 When used as hair dye, henna can help you achieve shades of brown, red, and black. The color that henna will dye your hair depends on the shade that your hair is to begin with. The henna layers on top of your existing color to create a darker tone. Henna for hair dye is beneficial in numerous ways. Below, you’ll find the main advantages that henna has over traditional hair dye. Henna is plant-based and all-natural. It’s an excellent alternative to traditional hair dye for those with sensitive hair or for those who only consume plant-based products. Henna hair dye is free of harsh chemicals and won’t dry out your hair. Henna is a temporary hair dye option and is a great choice if you’re only looking to change your hair color for a short period of time. But, it will also wash out less easily than coffee or tea, a hair dye alternative listed later in this article. Henna doesn’t chemically alter your hair color, so the roots that you’ll gradually get after dying your hair won’t be as noticeable as with chemical dyes. This allows you to go longer between dyes without needing to touch up roots. While henna is a safe and natural alternative to conventional hair dye, it does have a handful of downsides, which are listed below. You won’t have much control over the tone and shade of your dye when you use henna. Henna has an orange/red hue and is stronger in color when left in the hair for longer. Henna will stain just about anything it touches. While you’re dying your hair with henna, you need to be extra careful not to get it on clothing, towels, etc. Be sure to wear plastic gloves, to put down old towels that you won’t mind getting stained (or newspaper), and to dye your hair in the bathroom where you can keep the mess to a minimum. Henna stains skin, too. So, you’ll need to use a layer of vaseline around your hairline to ensure that no henna reaches your skin and creates an unwanted tattoo! It takes a while for henna to fully set, so you’ll have to wait around with it in your hair for hours before you can rinse it out. Henna is, while available at natural markets and other specialty stores, more difficult (and more expensive) to get your hands on than lemon and other natural hair dyes. Did you know that you can use your favorite hot beverages to dye your hair? It’s true–coffee and tea can be used as a natural option of semi-permanent hair dye. Due to the fact that coffee and tea will darken hair, this dye option is often used as a way to cover gray hairs. Especially if you will need to cover gray hair often, coffee and tea is an inexpensive way to maintain your desired color. In particular, tea made with sage is known to be effective for covering gray hair. You can also use a strong brew of black tea to darken hair that’s already brown. There are multiple strategies for dying hair with coffee or tea. One way is to apply cooled coffee to clean hair and wait for at least 20 minutes. Then, use apple cider vinegar to rinse out the coffee and lock in the color. You may need to repeat this process multiple times to achieve a deep, rich color. Coffee and tea are incredibly easy to get your hands on–you likely already have coffee grinds and tea bags in your kitchen! Coffee and tea are less expensive to use as hair dye than typical boxed hair dye, and are far cheaper than a professional salon dye treatment. 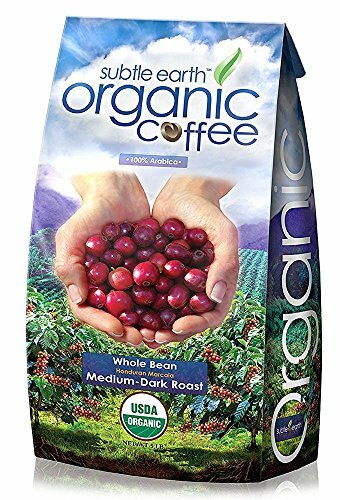 You can purchase coffee and tea at any grocery store or market for a low price. Coffee and tea are gentle on the hair and scalp and won’t cause over dryness or irritation. You have power over how strong to make the brew of coffee or tea and, therefore, how drastically you’d like to darken your hair. Coffee and tea are, while an inexpensive and natural hair dye option, not the best choice for everyone. Consider the downsides of these hair dye options below. Your shade and tone options are limited when you dye your hair with coffee or tea. This type of dye can only be used to darken hair, and the results may depend on many factors, such as how strong the drink is and the brand of the drink. If you have a specific color in mind for your hair, this natural dye option may not be right for you. You will likely need to apply coffee or tea to your hair multiple times in order to achieve a strong, dark color. Coffee and tea aren’t permanent dye options and may even wash out with one shampoo. To keep the color visible for as long as possible, keep the coffee or tea in your hair for as long as possible during the dying process before rinsing. Coffee and tea are effective hair dye alternatives for brunettes and people with dark colored hair to begin with, but may not work for blondes. Really Good Information. I generally use lemon juice & it’s really working without any danger disadvantage. Beside this, above mention two other options are also very good.